Room Only Min 7 nights. Restaurant, bar and pool on site. Twin share,1 bedroom "Run of House" Motel Unit. Located on parklands with a short stroll to centre of Coolangatta and local attractions. Limited housekeeping service with this deal. Room Only Min 5 nights. Daily Basic Service Only. Restaurant, bar and pool on site. Twin share,1 bedroom "Run of House" Motel Unit. 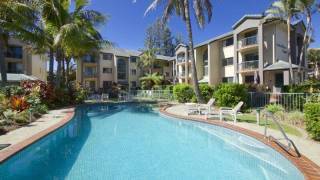 Located on parklands with a short stroll to centre of Coolangatta and local attractions. Twin share,1 bedroom "Run of House" Motel Unit. Double or 2 Single Beds Subject to "Run of House". Maximum occupancy 3 additional charges apply. Room Only. Restaurant, bar and pool on site. 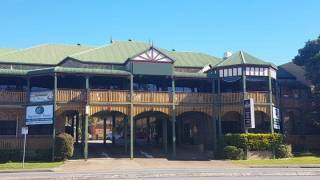 Located on parklands with a short stroll to centre of Coolangatta. Three bedroom, 2 bathroom self contained apartment with Double room and two twin rooms. Accommodates 6 people with a full kitchen. The Bombora Resort in Coolangatta, Queensland. Set on beautiful park land, Bombora is ideally located being minutes’ walk away from the shops, clubs and white sandy beaches of Coolangatta. Situated on the border of New South Wales and Queensland the Bombora Resort’s All Inclusive Tour Packages are the perfect way to explore the natural wonders of Northern New South Wales and the exciting holiday attractions of the Gold Coast. Superior Hotel Rooms which are located on our upper two levels. These rooms have airconditioning, private balconies overlooking the park and pool, mini bar fridges, tea and coffee making facilities and flat screen televisions. Family Apartment, offering a generous three bedrooms, two bathrooms, full size kitchen, fridge/freezer, airconditioning, television and private balconey. The bedding configuration is one double, 2 x singles, 2 x singles. All of our rooms have a terrific northerly aspect and most have beautiful park views. Bookings with arrival times after 5pm need to contact the hotel to be advised of the check-in procedures. Full payment by credit card is required at the time of making you booking. No Cancellations or changes to bookings will be permitted for any reason. Once confirmed a booking cannot be refunded or altered in any way.